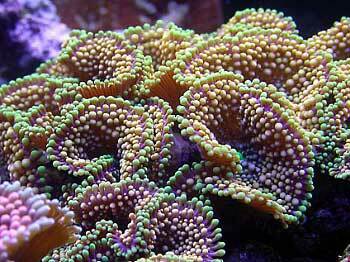 Thanks to all of you who make up the fantastic and fanatically inclined hobbyist/therapy group known as Reef Central. 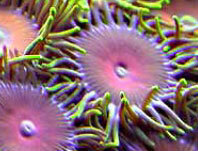 This opportunity would never have come about without the help I've obtained throughout my membership here. 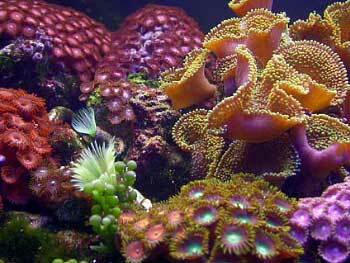 My 'Ric 'n' Zoo' tank actually began a couple of years ago in the form of an SPS dominated 150 gallon cube, wherein Acropora and Montipora loomed over small clusters of Ricordea polyps and zoanthid colonies. 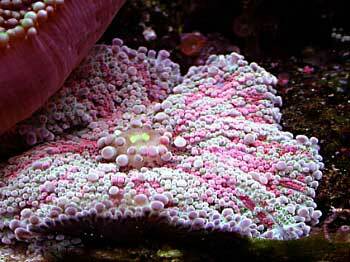 I parted out the system after I no longer had the time to care for such delicate stonies, but I held onto a few of the "easy to keep" specimens. 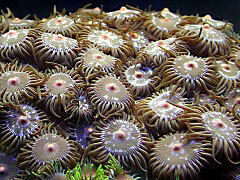 A few more fragments were obtained from local hobbyists and retailers, and I found myself instantly drawn into the intoxicating myriad of colors, shapes and patterns which colonial anemones comprise. 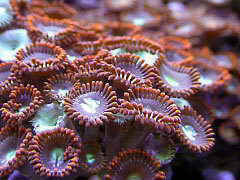 As I searched for a low maintenance alternative to my 150 gallon tank, I transferred my soft corals into a nano tank, foolishly thinking that this would be my final system. 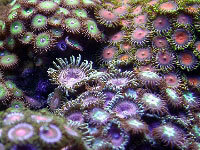 Rampant growth and the insatiable desire to collect every color morph known to man encouraged me to set up a slightly larger system. 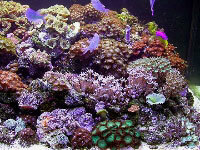 I was heavily influenced by the spectacular August 2003 Tank of the Month belonging to MUCHO REEF, and decided to put together a similar setup. 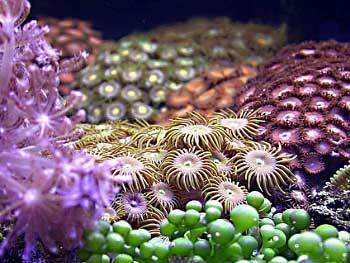 My focus was on establishing a system that didn't require diligent maintenance and deep pockets while matching the variety of color and shapes of a typical high-end SPS reef system. 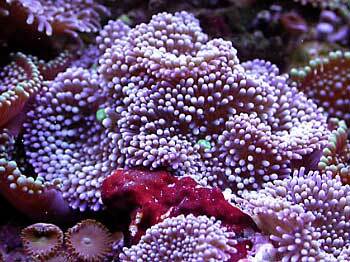 I have become a firm believer in the merits of live marine food for modern reef aquaria. 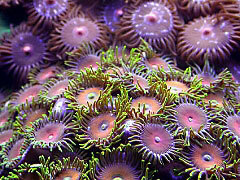 I start off the food web by feeding one liter of Reef Crew's live Nannochloropsis oculata phytoplankton at least three times a week, and one liter of their live marine rotifer, Brachionus plicatilis, twice a week. 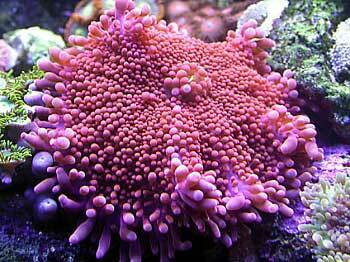 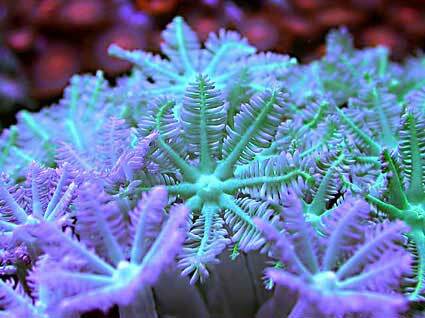 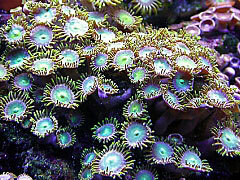 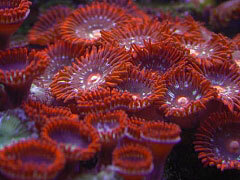 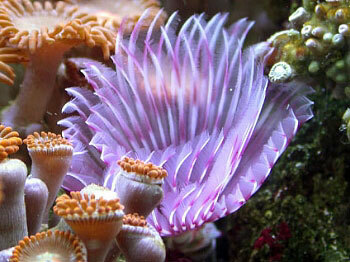 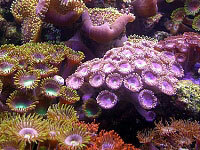 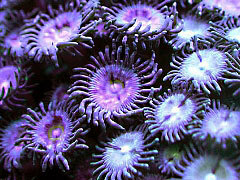 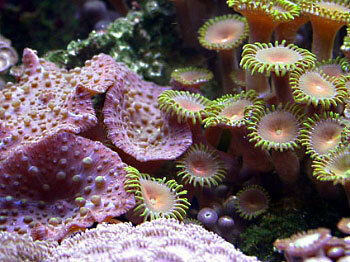 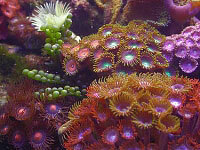 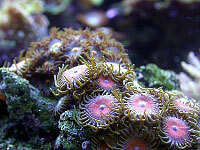 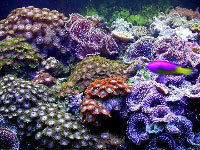 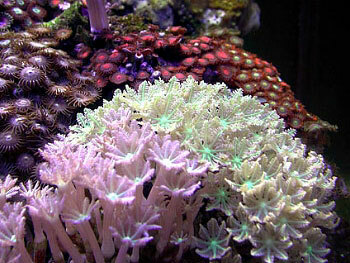 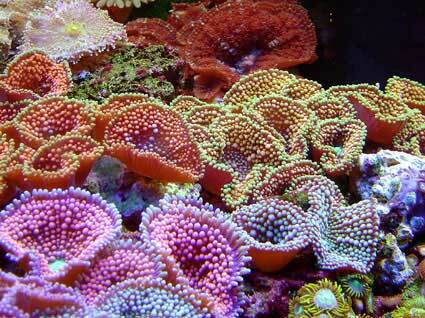 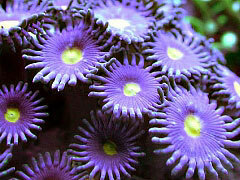 Growth rates, as well as coloration, of the many corals are distinctively noticble. 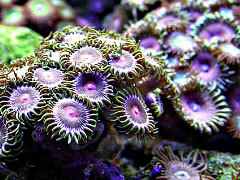 Most of the zoanthids react to the rotifers or something in the rotifer medium by opening or puckering their mouths, while the Ricordea cup up in anticipation. 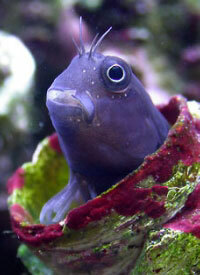 Some of the planktivorous fish, such as the Chromis, gobble up the rotifers hastily. 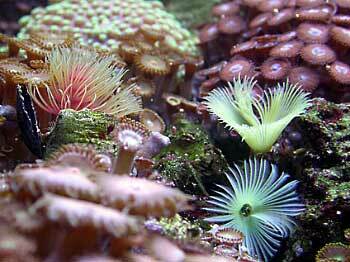 As a result of the phytoplankton feedings, the abundant worms (including feather dusters), small crustaceans and snails regularly spawn. 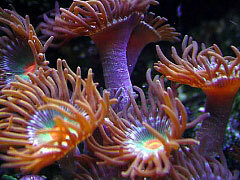 The fish are fed twice daily. 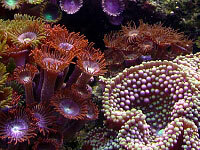 A wide variety of flake and frozen food is used.